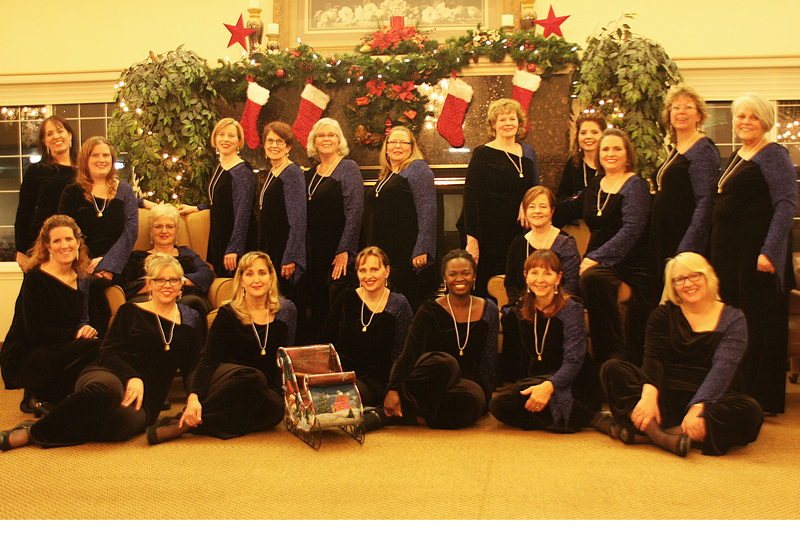 Durham Shores Chorus is an enthusiastic group of women singers varying in age and occupations who come together once a week to fulfill their passion for music. Our repertoire includes a wide range of music and includes selections from broadway, 70's rock, pop, country, and even some classics. We have shared our love of music by performing within the community at a variety of venues ranging from senior's residences to Major League Baseball games. If you or any local organization is interested in booking some musical entertainment, please give us a call! Being part of a teaching organization, we continually learn through regular practices and scheduled coaching sessions where we bring in top notch coaches to prepare us for upcoming competitions. Each year our region, which is comprised of some 1500- 1600 women, gather in Syracuse, New York, to compete and enjoy a weekend of entertainment Barbershop style. Renowned judges give detailed feedback on performances which in turn allows us to focus on individual areas that need fine tuning. Competitions represent exciting opportunities to travel, perform and learn while enjoying a truly bonding experience. As a contestant at this annual event, we've won various awards including 1st place AA Division, and took home the Novice Director award, both in 2015.